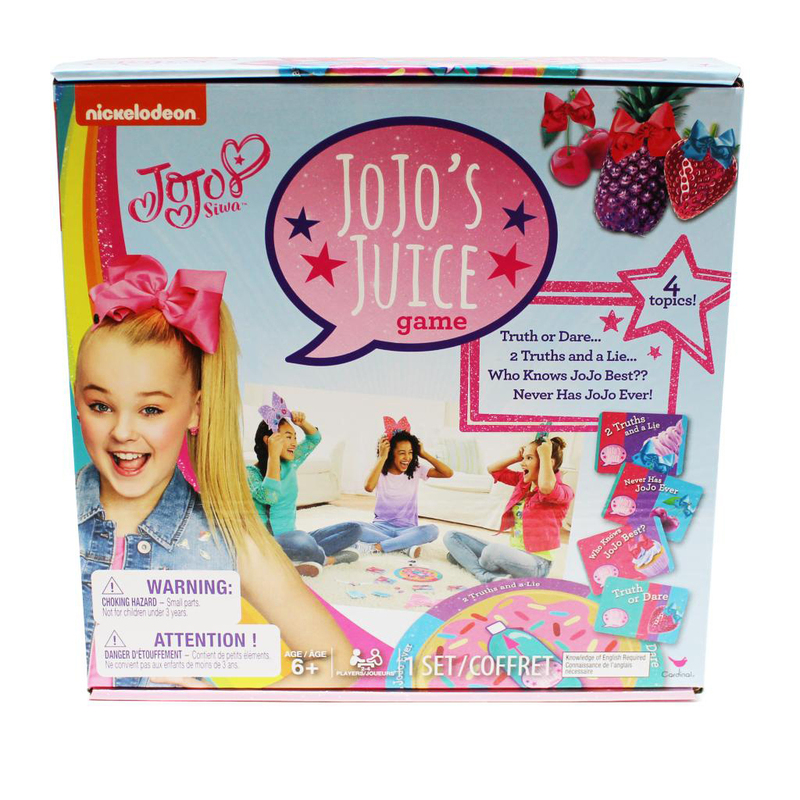 With the JoJo Siwa JoJo’s Juice Game, JoJo with the Big Bow’s fans get to answer questions to games that are featured on her YouTube channel. With categories like "Who Knows JoJo Best?," "Two Truths and a Lie," "Never Has JoJo Ever," and "Truth or Dare!" every JoJo Siwa fan is sure to have a great time coming up with the best answers. 4 topics to show off your JoJo knowledge—the ultimate game for Siwanatorz!